Earth Wind For Hire | Fabulous and Funky! Earth Wind for Hire have been privileged to perform with many of the 70’s disco legends and 80’s Soul Legends who originally inspired the creation of our band, they include:, Rose Royce, Sister Sledge, Odyssey, Cool and the Gang, Heatwave, Tavares, The Real Thing, Candy Staton, George McRae, The Gibson Brothers, Boney M. and 80’s Soul legends including Shalamar, Alexander O’Neal, Imagination, Jocelyn Brown and Incognito. Earth Wind for Hire were named by Chris Moyles on his breakfast show on Radio 1 as the best named tribute band ever. Earth Wind For Hire started as the band from the show “Don’t Walk … Boogie!” a production in London’s west end. They went on from there to become the best and most well-known live performers of 70’s disco. . 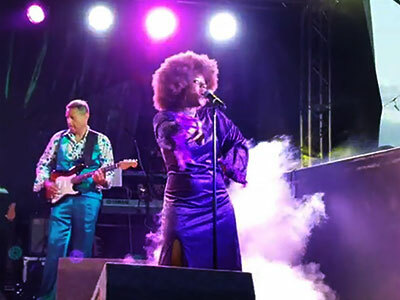 The group is a colourful 9-piece outfit, who encapsulate, through unique performances, those classic soul, funk and disco sounds from the 1970’s. The amazing show includes tributes to artistes such as Chic, Rose Royce, Sister Sledge, KC and the Sunshine Band, Donna Summer, Edwin Star, Sylvester and all the 70’s disco greats, including of course Earth Wind and Fire. The look is authentic and will transport you back to the funky dance floor grooves of the 70’s, discothèques. 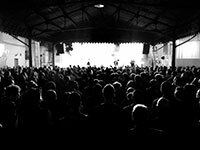 Earth Wind for Hire is the sister band to Party XS - the UK's No 1 party and function band (The same band members perform in both Party XS and Earth Wind for Hire).